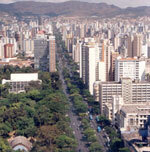 The city of Belo Horizonte, the fourth largest in Brazil, was planned and designed in 1897. It is currently tackling its financial difficulties through innovation in social policies and by democratic participation. The way forward lies in sharing decisions with the people about its future - this is essential. The objective is to improve public services and bring about a better quality of life for its population, thus rendering it a model city. Located in the south-east, Belo Horizonte is the state capital of Minas Gerais, the economy of which is the second largest in the country. It was designed to replace Ouro Preto's municipal district, at the time the headquarters of the local political power. Its inception was in December, 1897, and it was designed for a maximum of 200,000 inhabitants. Today, Belo Horizonte is a ‘gravitational’ centre around which more than 30 cities are located. Its population is now 2,200,000, but in the metropolitan area as a whole, the population is nearer 4,000,000, with many of that total making use of the capital’s public services. For a long time it was marked by the predominance of its industrial sector, but from the 1990s there has been a constant expansion of the service sector economy, particularly in computer science, biotechnology, business tourism, fashion and the making of jewelry. The city is considered to be a strategic leader in the Brazilian economy. The economist, Professor Fernando Damata Pimentel, became Mayor of Belo Horizonte in November, 2001, following the resignation of Célio de Castro through illness. Mr Pimentel has been a member of the municipal government since 1993, serving as Finance Secretary. He was victorious in the 2004 elections when he obtained 70 per cent of the vote to continue in office for a further four years. He was the first mayor in the history of the city to be elected directly in the first round. Under the model Participating Budget, the various communities decide on the investments to be made by the regional public authorities. In the Habitation Participating Budget, unique in Brazil, district policies are directly defined by the people. In the past 13 years, under this budget, some 1,000 public works have been implemented costing around US$170 million. Under the Habitation Participating Budget, some 2,479 houses have been built for the poor at a cost of US$21 million. And some US$9 has been allocated for the construction of more than 1,800 houses over the next few years. Mr Pimentel, as Finance Secretary, was an acknowledge expert on the main challenges faced by Belo Horizonte. He succeeded in balancing the books, thus largely solving the city’s financial problems, with revenues now being applied with efficiency. All this has allowed the city to increase significantly its resources and make possible the financing of new infrastructure projects. One of these public works projects is called the "Programa de Recuperação Ambiental e Saneamento de Belo Horizonte" (Program of Environmental Recovery and Sanitation for Belo Horizonte). Its aim is to clean 73 polluted streams, equivalent to 140 km of watercourses, integrating them into the natural landscape of the city. The so-called “Drenurbs” includes action on basic sanitation, flood control procedures and habitation replacement. These works will benefit 49 per cent of the population and represent the greatest financing project ever undertaken in the history of Belo Horizonte. "Vila Viva" (Living Village) is another major program to be implemented by Mr Pimentel’s administration. This intervention will be in the poorest areas of the city where 480,000 people live - in the 200 irregular settlements of slums and shanties. "Vila Viva" aims to restore the lives of this immense population. It will start with the building of new sanitation and drainage infrastructures at a cost of S$27 million, followed by the construction of 1,091 houses. "Vila Viva" will particularly benefit the inhabitants of “Taquaril” and “Vila São José”, areas of the city at risk of flooding. With the implementation of the “BH Citizenship” program, the public authorities proceeded to assist the most needy areas in the city. Installed in 2001 in the city’s nine regions, the program initiated a project called Assistance to Family. This offers leaderships training courses and professional qualifications, activities for children, youth and older age groups, as well as various cultural activities and sports workshops. There are specific programs in place to contend with, and prevent, abuse and mistreatment. One of them is at work in the streets helping 400 children in various ways. For children who are victims of violence or abandonment, there are 23 public shelters where they are housed and treated. For girls and boys living in the streets, the authorities have instituted “Programa Miguilim” (Miguilim Program), which hosts about 20 children a day, and the “Casas de Passagem” (Temporary Houses), which are places of protection for homeless children. To help adults living in the streets, the authorities have started a Reference Centre, which receives an average of 150 people a day, and two overnight shelters that can take 500 people. As well as this, there is a temporary dwelling program that provides housing to accommodate, for up to one year, 40 men and 50 women. During that time, professional workers help them to rebuild their lives. Families living in risky areas or subject to the effects of very bad weather have the opportunity of temporary transfer to two local authority shelters where they can remain until transferred to safe dwellings. The policy of the local authorities to prevent hunger has shown promising results. The municipality manages two popular restaurants that serve food of good quality at a nominal price of R$ 1.00. The municipal authorities have also organised the “Food Bank”, which gathers unsold food from supermarkets, but which is still wholly fit for human consumption, and donates it to the poor. Courses have been started to enable young people on low incomes to train and work as bakers, cooks and waiters. One cannot talk about promoting the quality of life without mentioning man's right to a healthy environment. In this direction the local authorities have been investing in the creation and recovery of green areas, such as squares, gardens and parks. In 1993 there were only eight parks in the capital - now there are 53. The municipality has divided the city into development zones according to land-use suitability  much of which will be preserved and protected and cannot be built upon. But since the municipality alone cannot undertake this task of protection, the whole community of Belo Horizonte is taking part. Partnerships and alliances have been formed between local authorities, business and residents associations. These have resulted in programs such as "Adote o Verde" (Adopt the Green), with 300 green spaces being adopted by private companies, who take responsibility for maintenance. Thus it is with a sense of harmony and dialogue with the people that Mayor Fernando Pimentel conducts his administration of Belo Horizonte, with his dream coinciding with that of everyone - to make the city a worthier place to live, and to leave to the generations to come. Economist Fernando Damata Pimentel (54) economist, born in Belo Horizonte, is married and has two children. In 2001 he was elected Vice Mayor for a three-year term. However, in November 2001 he took over as Mayor after the resignation for health reasons of Mayor Célio de Castro. In the 2004 mayoral election he won 70 per cent of the vote and became the city’s first mayor to be elected outright in the first round of voting. His term of office lasts until 2008. From 1993 to 1996, Mr Pimentel headed the Municipal Secretariat of Finance during the mayorship of Patrus Ananias. He remained in that position during the first term of office of Mayor Célio de Castro, from 1997 to 2000. In 2000 he stepped down to run for the office of Vice Mayor. Fernando Pimentel fought the military dictatorship. which governed Brazil between 1964 and 1985. At the age of 17, he started his political militancy in the student movements of 1968, in Belo Horizonte. He was persecuted by the authorities and had to live a clandestine existence. From 1970 to 1973, Mr Pimentel was under arrest. 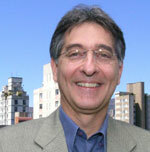 An academic, Fernando Pimentel gained a Master in Political Science at Universidade Federal de Minas Gerais (Minas Gerais' Federal University) in 1981. Since August 1978, he has carried out educational duties as Assisting Professor of the Departamento de Economia da Faculdade de Ciências Econômicas da UFMG (Economy Department of the Faculty of Economic Sciences of Minas Gerais' Federal University) He has been involved in research activities and technical works and contributed numerous magazines and newspapers articles. Mayor Pimentel was the president of the Conselho Regional de Economia de Minas Gerais (Regional Board of Economy of Minas Gerai) administration 1991/1992, was twice re-elected as adviser of the Regional Board of Economy of Minas Gerais (1990-1996) and director of the Sindicato dos Economistas de Minas Gerais (Trade Union of the Economists of Minas Gerais) (1986/1992). He is also one of the founders of the Partido dos Trabalhadores (PT) (Workers Party).